We are J Smeaton & Sons Funeral Directors. 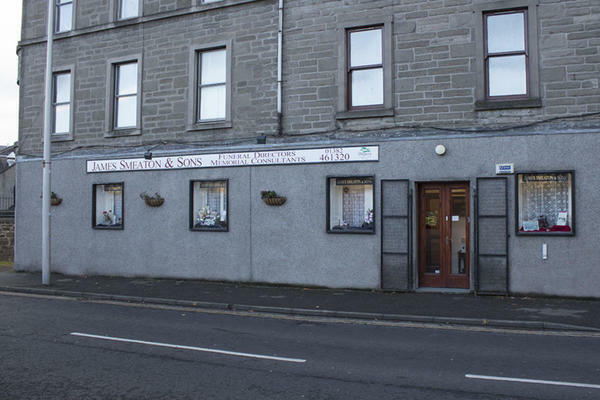 Based in Dundee, we provide the highest standards of funeral care, services and facilities to our local community. We deliver our services with outstanding quality, dedication, and compassion. We understand the losing a loved one can be difficult, and we want you to know that we are here to help make things a little bit easier for you. We will work closely with you, listening carefully to your requests, to help arrange the perfect farewell for your loved one. Whenever you need us, we will never be more than a phone call away. Our phone lines are open 24 hours a day, so rest assured that you will always be able to get in touch with us. At J Smeaton & Sons Funeral Directors, we understand how special life is with those that you love. For us, every funeral is unique and personal. We have a service to fulfil every wish, with every detail carried out with the same uncompromising quality of care. From a traditional service, to a colourful woodland burial, your options are limitless with our Full Service Funeral. If you have a little more flexibility when it comes to arrangements, then we can provide a Simple Funeral for a lower cost. You can park at the health centre opposite our funeral home. Our staff are available 24 hours a day on 01382 461320 if you require our services outside of these hours.